These terms and conditions govern the use of our website. By using our website or donating to us you are agreeing to abide by our terms and conditions. The service exists to facilitate online donations from members of the public wishing to donate money to the trust. The NZSAS Trust ensures past and present NZSAS members and their families have the resources they need to thrive – including welfare and financial assistance for further education and vocational training. These Terms apply to every Donor and Verified Payee. By donating money through NZSAS Trust every Donor accepts these Terms authorising the NZSAS Trust to deduct the value of donation and pass on these donations. The Terms may be updated from time to time without notice. It is the Users responsibility to check these Terms for updates and changes whenever they access NZSAS Trust. If at any time you do not agree to these Terms and Conditions, please refrain from using NZSAS Trust. If you continue to use NZSAS Trust after any changes are made to the Terms then you will be deemed to have agreed to those changes. NZSAS Trust recovers a credit card processing fees from the gross transaction amount. These fees are at the current market rate of 2.9% + $0.30 per transaction. These fees are subject to change without notice. Donors are able to donate to the NZSAS Trust by making a donation via cheque, electronic bank transfer, recurring credit card payment or bequest. Donors can choose to make an immediate, unconditional donation using a valid credit card. Donations are immediate, non-refundable, non-transferrable and non-disputable. The minimum donation amount is $1. Where there has been an unauthorised use of a Donor’s credit card to make a donation, and it is proven, then that donation will be refunded by the NZSAS Trust to the Donor’s credit card. Donors are automatically emailed a receipt for every Donation on NZSAS Trust. Where a donation of $1 or greater amount is made, a donation tax receipt is issued in the name of the NZSAS Trust which is itself a charitable organisation with Donee Tax Status. A donation tax receipt to the amount of $5 or more can be used to claim a donation tax credit with the Inland Revenue Department. Donations are immediate, non-refundable, non-transferrable and non-disputable. If a Donor is dissatisfied with the application of any donation made through NZSAS Trust then the Donor should raise the dissatisfaction directly with the NZSAS Trust. (b) in all other respects, you can form a legally binding contract that is enforceable against you. A registered User confirms that the information provided is true and accurate. Where that information is no longer current the User agrees to promptly update the information (including details of Registered Charitable Status and Donee Tax Status for applicable Non-Profit Organisations). When a User registers, NZSAS Trust or a representative may contact the User to verify any information supplied. (b) not disclosing, or allowing a copy to be discovered of the login information of the User. NZSAS Trust may lock or restrict certain User data or information from being edited after first entry, post-moderation or verification for security purposes, such as nominated bank account information. We collect personal information about Users when they use NZSAS Trust. This may include (without limitation) information such as registration details and profiling, particulars of use, regularity of access, and the Content viewed. The User agrees to allow NZSAS Trust the right to use any personal information collected in pursuit of the NZSAS Trust achieving its goals and to provide better services to Users. The User agrees that previous donation or fundraising history (as the case may be) can be published online (at the discretion of NZSAS Trust). We shall not detail amounts donated by any particular Donor unless that User has otherwise given their express consent. (d) Meet requests by any domestic or international authority (whether or not exercising statutory authority) where in the opinion of NZSAS Trust disclosure is desirable to maintain the integrity of the NZSAS Trust service and/or its Website e.g. enquiries from international authorities in respect of anti-money laundering activities. In the instance of release under (d) NZSAS Trust will advise a User if the information has been released (but not necessarily the details of the information released) provided that such disclosure will not attract any liability to NZSAS Trust. Donors who choose to submit an anonymous donation will show any information as anonymous. (c) exploit, sell or generate profit from the Intellectual Property Rights. Any content on NZSAS Trust is protected by the applicable intellectual property and proprietary rights and laws. No use of NZSAS Trust Content is permitted without the express prior consent of NZSAS Trust, and where applicable, the intellectual property right holder. The User warrants that all Content uploaded or shared by him/her/it, either from their own computer or another website/server, are either created or owned by the User, or the User has the necessary licenses, rights, and permissions to use the Content. The User acknowledges and agrees that upon receipt and notice of any claim under this section, NZSAS Trust may immediately remove any content from NZSAS Trust without liability. Any claims of any complaining party shall be referred to the User for their attention. We will utilise our reasonable efforts to maintain an acceptable performance of the NZSAS Trust service and our support of Users, however, we do not guarantee continuous operation of the Website, our support services or integrity of the data stored or transmitted via NZSAS Trust, Internet or any services. This warranty replaces all other representations or warranties (statutory, express or implied) and all such representations and warranties (save any which may not be lawfully excluded). NZSAS Trust is not liable for direct, indirect, special, incidental, consequential, punitive or exemplary damages of any kind whatsoever including any lost data, lost business, lost profits, injury, claim, liability or damage or failure of security resulting in any way from the use of the Website and our services whether foreseeable or not. Termination of the User’s contractual relationship with NZSAS Trust shall be the sole and exclusive remedy for any and all damages or injuries suffered by a User. Despite any other provision of these Terms, if we are determined liable to a User for losses, our liability is limited to a maximum amount equal to funds donated by the User or received to the benefit of the User. (e) infringement by any Content uploaded by the User (or somebody using the User’s account) of any intellectual property or any other right of any person or entity. 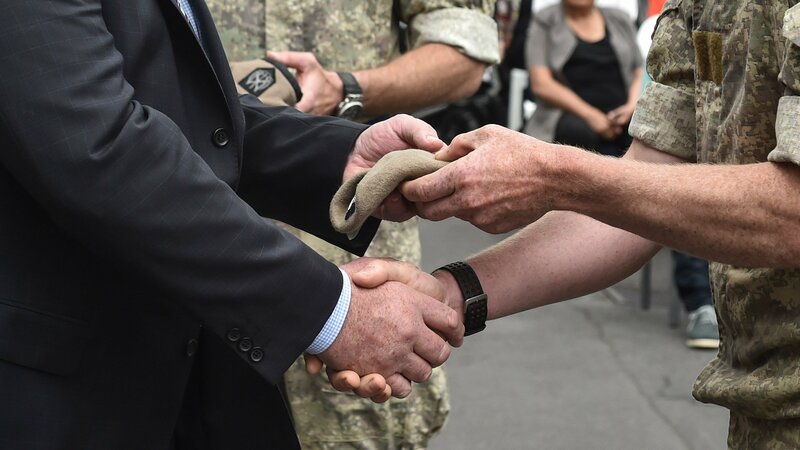 NZSAS Trust reserves the right, at its own expense, to assume the exclusive defence in control of any matter otherwise subject to the indemnity given by the User, in which event the User agrees to cooperate with NZSAS Trust in asserting any available defences. These Terms are governed by the laws of New Zealand. The User submits to the non-exclusive jurisdiction of the Courts of New Zealand. A User will not commence any court or arbitration proceedings relating to a question, difference or dispute relating to these Terms, (“Dispute”), unless the User has first complied with this section. Where any Dispute arises, a representative of the User and NZSAS Trust will meet and negotiate in good faith in an attempt to resolve the Dispute amicably by good faith discussion. If any provision of these Terms is held invalid, then such provision (to the extent it is invalid) is deemed severed from these Terms and the remainder shall not be affected. (b) subsequent to the date of registration of the User and not in writing. Where any provision is expressed as being for the benefit of a party who is not a party to these Terms then that provision is made for the benefit of that third party for the purposes of the Contracts (Privity) Act 1982. (c) By overnight mail or conventional mail – two business days after sending.